The Cowboys reflect on their loss to the Storm. 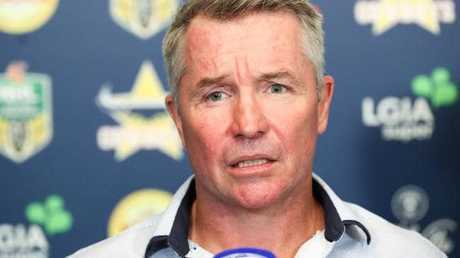 COWBOYS coach Paul Green has given a stern warning to his players to stop believing their own press after the premiership favourites were soundly beaten by reigning champions the Storm in a grand final rematch that never reached any great heights. After a fairytale September that took a team that went within minutes of missing out on the 2017 finals series to the grand final, North Queensland became the experts' favourite to go one better this year. 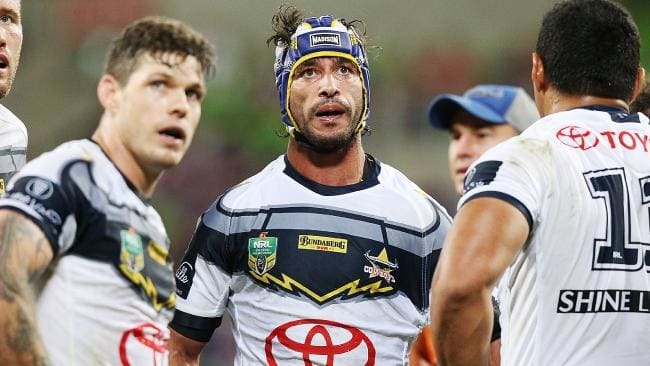 Given that grand final side added returning co-captains Johnathan Thurston and Matt Scott as well as a star recruit, Kangaroos prop Jordan McLean, it's little wonder that the Cowboys started the season with so many backers. Paul Green was furious with his side’s effort. But if the shine wasn't knocked off them by two consecutive defeats, it will be once they hear their coach's comments in Thursday night's post-match press conference. "Stop reading some headlines for starters and just some more consistent effort from the little areas of the game, the little tough areas of the game. "Obviously defence is the first area for that, we're just conceding too many easy tries and easy points at the moment." While the Storm can be an electric attacking side, Thursday night's win was built on three simple tries scored close to the ruck by big forwards. Nelson Asofa Solomona charges into the Cowboys defence. Green's Cowboys sides have always prided themselves on competing hard and winning the effort areas and it's a drop off in those areas that concerns the coach the most. "We weren't anywhere near consistent enough in our effort and that at the moment, the last two weeks in particular, we're getting beaten on effort areas, not on skill or talent," Green said. "We're just hoping for an easy ride at the moment. It disappoints me because I know we're better than that but until we're prepared to work hard for it it's not going to happen for us. "Regardless who we played tonight, you turn up with that attitude where you're hoping or you're looking for an easy night, against a good team you're going to get that." Sitting next to his coach, co-captain Scott was equally scathing of his side's effort and execution, saying they had failed to learn a lesson in their unexpected loss to the Broncos last week. "Like Greeny said, just not consistent enough in effort areas and lacking a bit of polish in execution, which doesn't make things any easier," Scott said. "We knew they'd be tough, we knew they wouldn't turn up again like they did last week. "We knew we had to be a lot better than we were last week as well, we just didn't get a reaction from it. "We trained hard during the week but probably a little bit too much talk and not enough action." 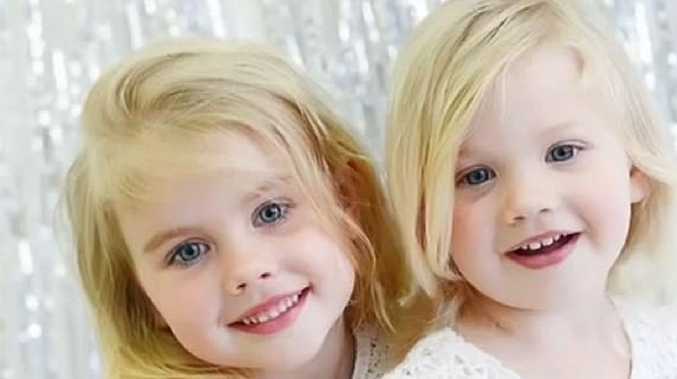 News The parents of two little girls involved in a tragic car accident were left shattered after a shocking blunder left them in a horrendous situation.